The perfect plant-based treat to support your workout goals,1 these cookies are baked with quality ingredients — including coconut oil, pea protein, and a sprinkling of dark chocolate chunks. They’ll help to keep your fitness regime interesting and are great for on-the-go, providing a hit of protein without any meal prep. 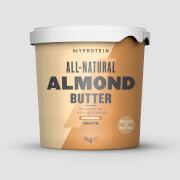 When to enjoy Vegan Protein Cookie? Whenever you feel like it! These are the perfect chocolatey snack for when cravings are calling — whether you’re at your desk, in front of the TV, or have just finished a workout. What to enjoy Vegan Protein Cookie with? 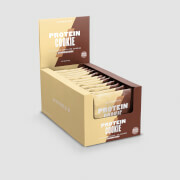 Our cookies are great to stay topped up on protein after working out. But, to start your day in a plant-powered way, try our super-nutritious Vegan Protein Blend — packed with essential amino acids and an impressive 22g of protein per serving. 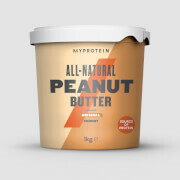 This product is intended to be used as alongside an active lifestyle and balanced diet. Excessive consumption may cause laxative effects. Store in a cool, dry place out of direct sunlight. Suitable for vegetarians and vegans.